Cooking beef topside in a slow cooker helps to tenderize the meat. For the uninitiated, the beef topside cut, popular in Europe and Australia, is part of the round primal cut right next to the rump. It is a fairly tender cut of meat, but has little fat and is best cooked slowly. The topside, together with the silverside, make up the hindquarter, which is often used for roast beef sold in delicatessens. 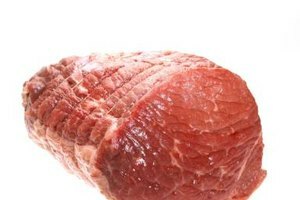 Cooking a beef topside in a slow cooker allows the sinews within the meat to break down, making the meat fork tender. This also makes for a flavorful broth than can be turned into a tasty pan sauce or gravy. 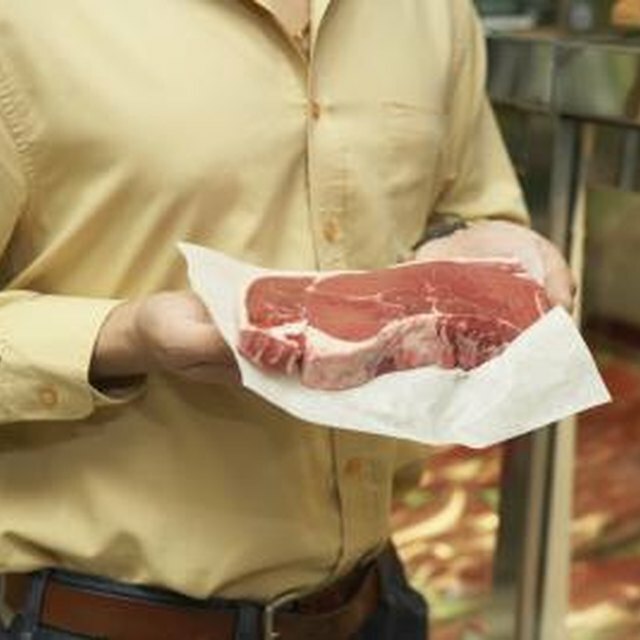 Rinse the beef topside roast under cool running water and pat dry using paper towels. Heat a large skillet on medium-high heat and add a small amount of vegetable oil to coat the pan. Add the beef topside roast to the skillet once the oil begins to simmer. Sear the roast on each side, including the ends, for about three to five minutes or until a crust forms and the meat pulls away from the skillet easily. Turn the meat using large tongs. Remove the meat from the skillet and set it aside. Add any vegetables cut to the same size that you plan to use to the slow cooker; good choices include potatoes, carrots, parsnips, turnips, and onions. Add water or beef broth or a mixture of both, enough to fill the slow cooker halfway. Season the meat on all sides with your choice of seasonings; popular choices include salt, black pepper, garlic powder, sage and thyme. Nestle the meat into the center of the slow cooker. Put the lid on the slow cooker and set the heat on low. Cook for six to eight hours or until the vegetables are tender without falling apart and the meat registers at least 145 degrees Fahrenheit on an instant-read thermometer. Cook the meat longer, to at least 165 F, if you want the meat to be fork tender. Use the broth remaining in the slow cooker to make a pan sauce or gravy. Heat the broth in a skillet or saucepan and add a small amount of flour to thicken the broth. Alternatively, mix a small amount of cold water and cornstarch in an even ratio and add to the broth and heat until it thickens.